While the double Oscar winning musical genius AR Rahman is a prominent personality in Hollywood, his younger sister Isshrath Quadhre is following her brother and is taking baby steps to fame in Hollywood. Isshrath Quadhre has composed music for a Hollywood film titled Lake of Fire. This romantic drama has been directed by Indian origin filmmaker Raj Thiruselvan and produced by Basia. Apart from composing, Isshrath also penned a and sang a song in the album. 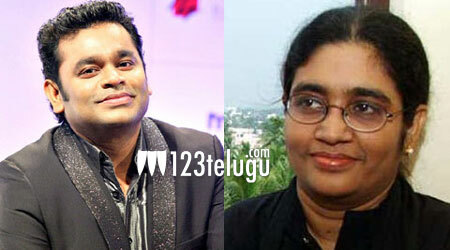 Rahman is elated with his doting sister’s achievement in Hollywood. In the past, Isshrath composed a lullaby for Aishwarya Dhanush’s documentary, Cinema Veeran.